On Wednesday I posted the picture above asking for guesses as to where the display is located. There were some great guesses and quite a few people got it right! 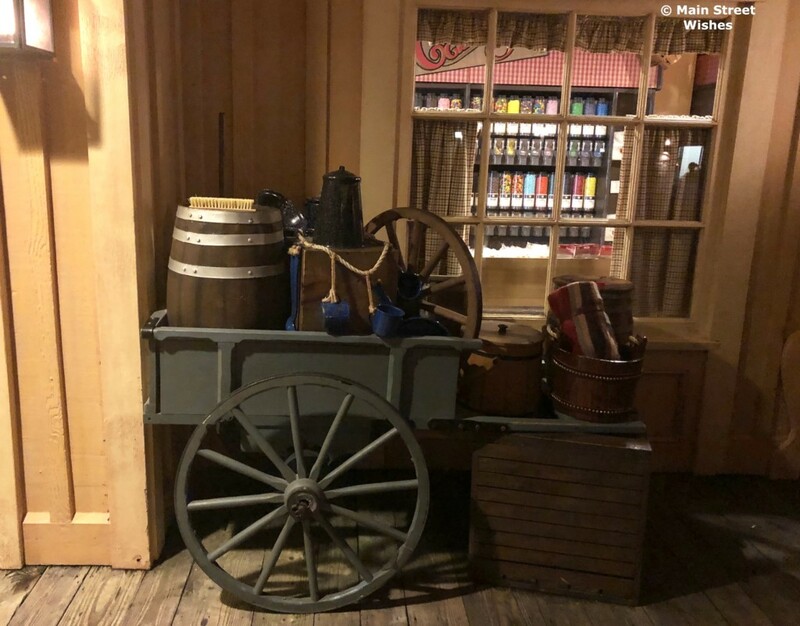 The display is located in front of the Prairie Outpost and Supply store in Frontierland at Magic Kingdom. So congratulations to all who got it right! This cute little store can be found as you are wondering through Frontierland towards Liberty Square. 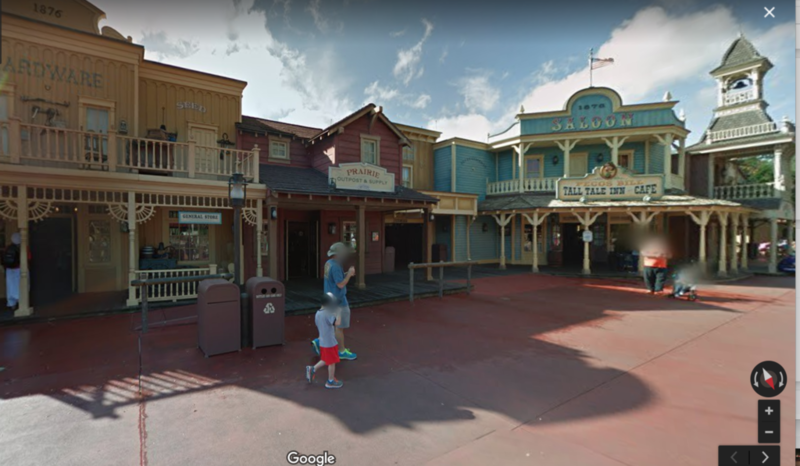 It’s situated between Country Bear Jamboree and Pecos Bill Tall Tale Cafe and fits in very well with the theme of the area. Stop here if you are looking for a snack, a sweet treat, or something to drink. You can find things like cupcakes, candy apples, Krispy treats, bulk candy, different Chip & Dale Snack Bags, and more. 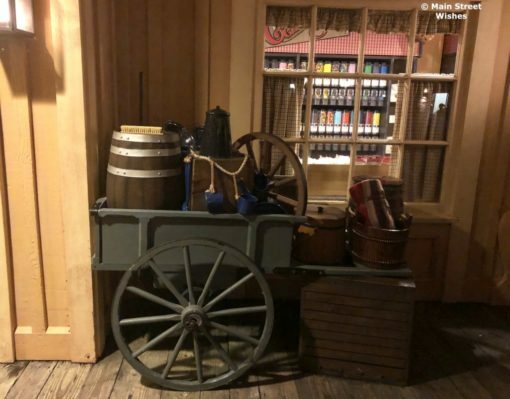 It’s a good place to stop off after you have enjoyed the attractions in Frontierland, especially if it’s hot and you need a break in the air conditioning. In addition to fueling up on snacks and drinks, you can also check out some souvenirs. After all, what’s a Disney shop without souvenirs? The souvenirs are things you can find in other shops, but it’s still fun to look around. Thanks to all who guessed and commented! Hope you had fun!